Information Archives - World Missions "Go and make disciples"World Missions "Go and make disciples"	Information Archives - World Missions "Go and make disciples"
Why do we like successful people? There the best. They want something, they go for it, they give it their all. That is why the Olympics is exciting. Jesus knew this. He sent his disciples out by twos and told them to change the world. Our heroes are Football players, Tennis players, those folks who gave it their all. Sorry, no Jesus there. Sadly, helping the poor and denying yourself is just not heroic. Or is it? Every religion believes that in the end, it is self denial and service to those in need that will win the race, the award, the prize. However, we spend our day talking about everything else. What did Jesus say that pleased God. Do you know? Do you take verses from the Bible and make role models of people that look nothing like Jesus. Jesus came to …. buy his own airplane? I know it sounds ridiculous but then why do we honor, worship, esteem those that do? Stepping over the poor, needy and hungry, we do what Jesus told us not to do? Help me. Something is wrong. When you are sick and in need, send 1000.00 to someone with a Rolls Royce, Rolex and a private airplane. They must be closer to God, look at what they have. Do not look at Jesus, he was a failure and not a good example of God’s goodness on earth. He was a looser bound for prison and hell and he told everyone he was. For you. Yes, he did it for you. So go ahead, make this life the best you can. Ignore God and the commands of Christ. Everybody does it, don’t they? I am a missionary. 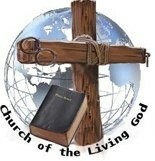 I have been called to bring the Kingdom of God to those that need it. What is the Kingdom of God? Love for one another. Righteousness based on this love and considering others in need a priority for my life. The Kingdom of God is the knowledge that you have something to give to others and that you will be held responsible for what you have been given. Lets say that your family received a large donation. Dad decided that you needed a 60 inch TV in the den to watch football games. Mom decided you needed a new set of electronic kitchen appliances. Sis, a newer car and baby brother, a motorcycle. Now, that is the way things usually go, but the Kingdom of God requires us to look around and see what others need. Our Neighbors. The folks in Jesus time were in trouble when they asked who their neighbor was because they didn’t like him because… or her because… and they had valid reasons for hating and ignoring and not helping them. Good religious reasons. Jesus slammed the people of his time and pointed to the people they hated. Jesus went into and lived with the ones his chosen people hated, ignored and spoke evil of in every manner. There are many parables. Matthew 25:31-46 is not a parable. It parallels God’s plan from the very beginning of the earth through this day, today. I am a mile away from hell and my hands are tied. Hell is when you expect something and cannot get it. Here in Staten Island, it is called the American Scream. Many people throughout the history of the USA, planned, worked, saved and believed the lie that things are important. They bought houses, partied and bought … well, things. Then God, in his infinite wisdom sent Hurricane Sandy and then the first snow storm and then another. Don’t be deceived, God is not mocked. Whatever you plan to do, God will do to you. Right down the road, literally, there are thousands of people who live the American Scream. Taxes, Insurance and payments for this and that government project have left them squeezed till they have nothing left. Yet, on the hill, there is electricity, water and every comfort of God. The American dream is for the rich, secluded and wealthy. They get to eat what they made with their own hands. Well, actually… bread made from the sweat of people that are poor, services provided by the poor and the workers of their factories. No I am not a socialist, just a realist. God bless us so we can be a blessing to others. I visit the homes of the fabulously wealthy. Fabulously wealthy according to the folks that have houses made of stacked mud that washes away every rainy season. Fabulously wealthy according to the grandest proportion of people on earth. Refrigerators that are full, pantries that have food and houses that are warm. When I look around I often see … well, literally a million dollars worth of… Stuff. Stuff they are certain they need. Stuff that helps them make money so that at the end of the year, they might have 1% to give to someone through their church who ends up giving .1% to someone in need. Ok, I came here to help the poor and found that though some gave their lives to help the poor, now that it is time to wind down, people are too busy to care about those that tonight, sit in houses without heat and electricity and scream … scream and cry in to the darkness. Why… Job’s friends came to help him understand God. Too bad they did not come with gifts and medicine and help and hope and an offer to assist Job in rebuilding. Nope… They brought the word of God as they understood it and in the end, Job had to pray for them so God would not just kill them and send them to hell. Not what you read? Maybe you should read again. I see a man, chosen as an example for God, deserted by his friends and left on a trash dump. I see a man who was not surrounded by the many that he helped or the many that were religions, bearing gifts and blessings but the law. The very law they ignored coming to Job in the first place. They could have been helpful, offering to do something but no, they decided Job got what he deserved. Then, sigh… Job had to ask God not to give them what the deserved. I am a mile away from the American Scream and what I hear is, “It’s not my problem, I got my own problems.” “Don’t help them, they will just get used to being fed. Make them go to work.” It all basically comes down to “I got mine, nya nya nya, ask God to help you.” You know, it doesn’t even make me sick any more. Perhaps you might give some thought to what it would be like to be homeless, helpless and living on the streets. Funny, God left his home and family and got pretty angry at the church they built him when he was Jesus. Why didn’t Jesus build big buildings. He could have. Why didn’t he honor the educated and wealthy but constantly hung out with … them. Perhaps they are important? So, I came from Arizona without a banjo on my knee. I am watching people get sick and die because of Hurricane Sandy. Cold, constant and penetrating is turning mighty men of labor here in Staten Island into sickly cold and frustrated individuals who have lost hope. I traveled the Island when I got here, slept in my truck for a month, not taking invitations to be warm and well fed. I am not happy that I am finding that the government has abandoned the people on the beaches of the East Coast. The rich sold the plots to themselves and to the others, the poor followed. Of course, living on the shore of the North East United States is dangerous, but when they could have stopped it, they used it to make money. When they could have required a sea wall or upgrades and helped people move, they didn’t. They simply took the taxes and the money from the poor and ran. Then, God, in his anger, smited those who laughed at him and ignored him and threw him out of their schools and lives. I know you don’t like that part. It is easier to imagine a great fuzzy God that is always soft and kind. I don’t know that one. 35 years in mission work have introduced me to a Father that knows what he is doing, that doesn’t share what he is doing and asks for obedience. I laugh as I see people charge God in prayer and shout at him commanding him to do things. Grace keeps them alive. He is my daddy, but talking loud to him is certainly not necessary and demanding he do what he asked me to pray for seems ridiculous. I know you don’t care. God knows you don’t care. Pray? Sure. Shout and sing and dance? Certainly. Bark like a dog and slobber like some insane man, that’s all easy but God knows how well you care. He looks at your check book and your credit card and sees …. Aahhhh, you bought electronics, shoes, food, movies, ….. stop. If that doesn’t scare you, don’t worry, when you face the father, daddy, the loving kind and sole savior of the world will send you to hell because that is where you will be comfortable. You sing, dance, hold conferences and do what you gotta do. The Bible sez, deny yourself. Don’t know what you don’t understand about deny yourself, look it up. Deny self and help others. Cold, I am blessed by the churches that go out of their way to rise early and prepare food. They drive to the disaster areas, park and start feeding those that come. No requirements for identification, they feed people. I want to do that and need partners. It can happen quickly but it requires the parts of the body, like fingers and thumb to come together to do this. Today, the world wants to go on. Happy New Year, forget those in pain, forget others, I am doing ok. I am happy. I, I, I, but they have nothing. Jesus spoke these words to his family and to his church. He left his home and family and went to the streets and when he did go to church, they hated him because he pointed out errors and even beat the wealthy from the church because they wanted to make money off of God. How many churches do I go to where they have coffee shops and book stores and sell things when there are people right here who have nothing. They have been wiped out by the storm. They are not professional street people but trying to keep the thieves from taking their remaining lives, their history, their prized possessions. A heater, a dehumidifier, the thieves are here to pick the carcases of the bleeding and hurt on the beaches. Robberies have been happening and the things that were bought to help people have been stolen. If it were you, God would want to help you but he left it to us. It is in our hands. What does it take for God to move us? Jesus told us to go to the ends of the earth. I have done quite a bit of trouble and find that most people want to build a cave (house, well protected that you can leave but others cannot get into) and the stay there. I was in a house recently that was fenced, had video surveillance and all of the windows and doors were barred. Reminded me of a really nice comfortable cave. So, Jesus told us to go to the ends of the earth and sometimes the only way Jesus can achieve that goal is through … disasters. Yup, it took the crushing of the Jews in Jerusalem to make them leave and go to the ends of the earth. It would be funny but only to a sadist. Hurricane Sandy caused untold damage and motivated people from all around the world to help. Yup, Christians had to go and in their going, preach the Gospel. Unprepared, untaught and certainly not willingly, people from all races, creeds and religions came together to help those that had been stepped on by life (God?). I listen to the volunteers and they come from everywhere and each has their desire to help and need to talk about what they believe. I am in a Pentecostal Church that provides room for volunteers. I am housed with people from Rastafarians and Buddhists, Scientologists and just plain unbelievers of anything (so they say) and a lot of Christians who have to defend themselves and what they believe, even when they don’t really want to. I mean, who wants to come out of their cave. So. Volunteer or not, you will go and do God’s work. You will either be prepared or un-prepared or just confused. But, you will go. You will go to the store where the Hindu fellow or girl sells you something or buy gas from someone who is a believer of Islam. Once you get past hello, you are into the weather and weather or not you are a well-prepared ambassador of Christ or maybe a confused candidate that misrepresents God to others. Hrmmmm… Yer call baby. What are you going to do when God makes you an evangelist?